The plugin is based on HTMLView source. 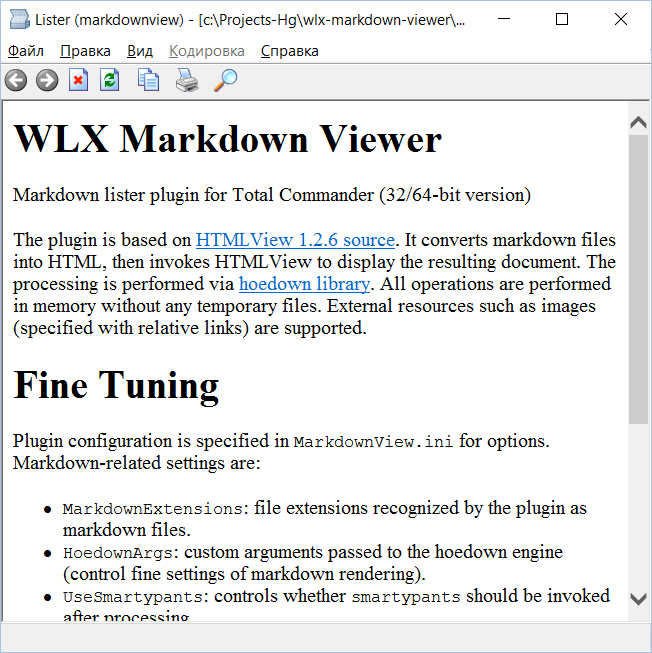 It converts markdown files into HTML, then invokes HTMLView to display the resulting document. The processing is performed via hoedown library. - Windows XP support; - UTF-16 support; - ANSI encoding autodetection; - bugfixes.